I have this problem on transition areas between layers. How can I remove these gray areas between layers, or what actually can cause this problem? I'd suggest playing with Filter color in Terrain editor. Also you can consider using more layers (materials) to make the transitions less evident,materials to subtle the edges and also use Material Editor and blending if you're not happy with them. There was similar topic on the old forums (so I'd recommend searching Community ► Community Archive in the menu and search there). This usually happens if terrain detail layer textures are not high-passed. 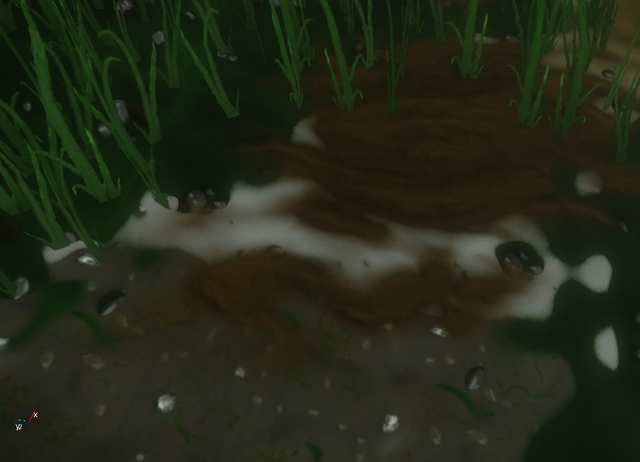 It seems you use normal RGB textures for detail layers (green texture for grass) and near white color for base low-res texture. Currently for terrain texturing in CE we use frequency separation technique (often used for portrait retouching). Low frequencies are painted into terrain base texture, high frequencies are defined by detail layers. This allows more variety and more control over terrain look and very efficient rendering of distant parts of terrain allowing near unlimited view distances. 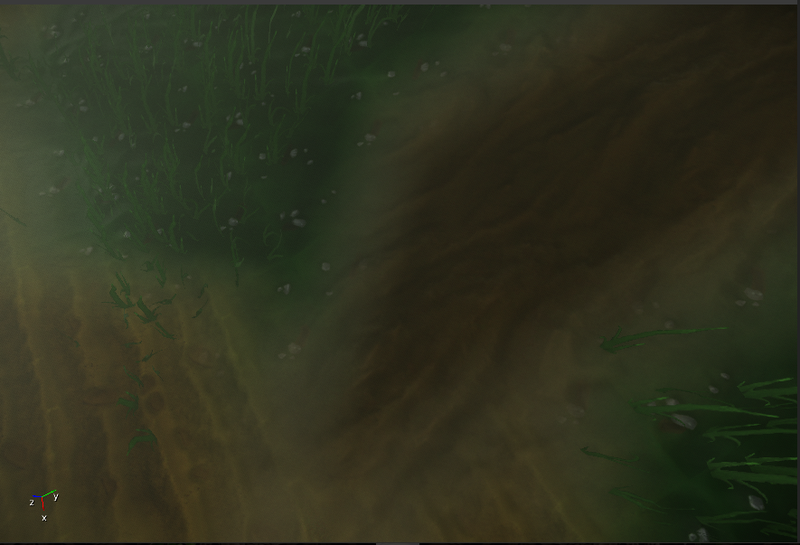 Because of that diffuse textures for terrain have to be high-passed in Photoshop (or in RC) in order to remove average color (green for grass). This color supposed to be painted into terrain base texture and then engine during rendering will combine it back with detail layers. You can disable terrain detail textures to see the base color only. Normally enabling/disabling detail textures should only add/remove details but should not modify overall color of terrain. Actually, they are all highpassed. I was playing with this for a couple of days, but had no luck. Have you tried launching the game (not in editor) and seeing what it looks like? There are certain things that work in game mode and not in editor. If it still does it I would mess with the blend settings in the material editor.